We are excited to be exhibiting at the 2016 IFTF Trade Show in Vijfhuizen, Holland. 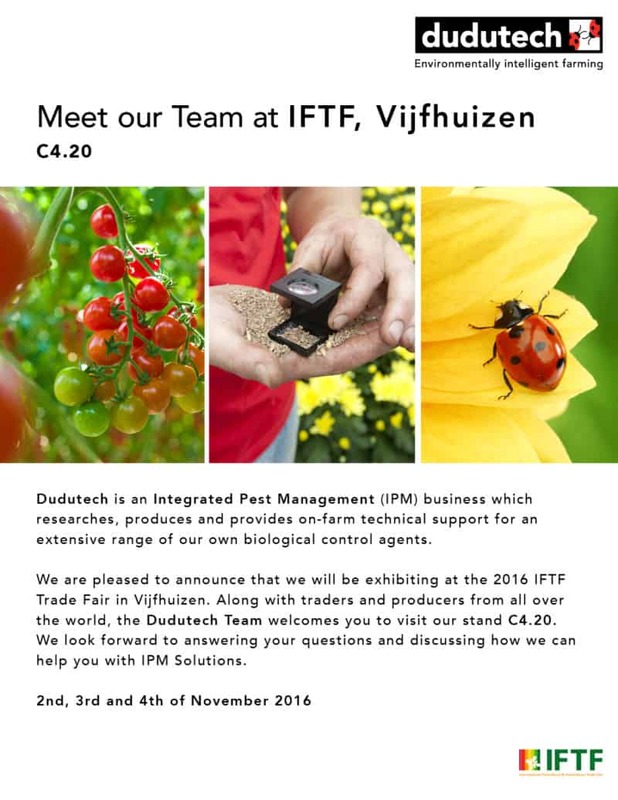 We invite you to visit our stand C4.20 to meet our team and discuss how we can help you with Integrated Pest Management. Follow us on our social media platforms on the 2nd, 3rd, and 4th of November for live updates on the event.